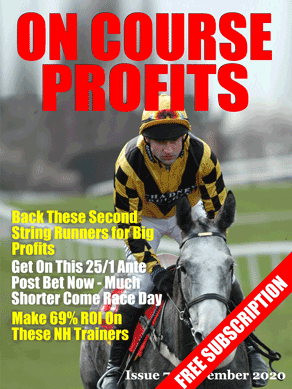 This week we have Saturday racing analysis and tips again from Nick Hardman of Betting Insiders. Before I hand over to Nick who has 9 free TV racing tips I just want to mention a service that has a discount offer that expires at the end of May which is midnight tonight. Hawkeye Tips is a selective flat betting service that has had 11 selections this month with winners at 14/1, 11/1, 10/1 and 9/1 (advised prices). You can do the math on that but it is a huge return on investment. The discount price is £29.99 for 3 months or £99.99 for a year. These go up to £29.99 per month and £179.99 per year from tonight. Last weekend we managed to pick out a couple of winners in Hot Streak and Slip Sliding Away and two placed horses in Kingsgate Native and Perfect Blessings. Unfortunately with all the rain that fell and the large number of withdrawals we were hit by some large reductions. This weekend I have picked out the best bets from across the cards at Chester, Haydock and York. The Class 2 Handicap over 7f at Chester (3.05pm) looks a decent race and features a fair number of previous course winners. Purcell was disappointing in the Victoria Cup when finishing well down the field but I expect him to bounce back here with the tight turns of the Roodee likely to suit and a plum draw in stall 2. Purcell’s trainer, Andrew Balding, had 3 winners from 7 runners at the May meeting and has saddled 13 winners at the course in the last 2 years. In the last 5 years his handicappers have won 14 races at the course (23% strike rate) and show a level stakes profit of 24pts. I am also happy to put up Deauville Prince as an each-way selection at 16/1 as he has every chance on his earlier form. Rated 105 back in February after creditable performances in Group 3 races at Meydan and Longchamp, he races here off 100 with Jenny Powell taking off another 7lbs. If he can get across from stall 5 he could well be leading around the home turn and, as he stays a mile, could still be there to fight out the finish. Later on the card Andrew Balding runs Storm Force Ten in the 1m 4f Class 4 handicap. A winner at the May meeting he re-opposes the horse he beat by a head that day in Captain Morley. He is 1lb worse off for a head victory but he has in-form jockey Oisin Murphy on board who takes off 3lb. Captain Morley had a poor draw that day and ran well to get so close to the eventual winner. I think there is nothing to choose between the pair so I am happy to back both @9/2. Over at York, the Listed 1m 6f race looks a fascinating contest. I do like the look of Alan King’s First Mohican but I would want better than the currently available 9/2 before getting involved. Instead, two who can go well at an each-way price are top weight Renew and Shwaiman. The latter ran well to finish 6th in the Chester Cup from stall 18 and could potentially be the biggest improver in the field. Renew has a Listed victory at the back end of last season on his CV and was a creditable 4th in the Group 2 Jockey Club Stakes last time out, with winner Gospel Choir franking that form nicely. Staying at York, the 5f Class 2 BetBright Trophy Handicap looks hugely competitive and it is difficult to rule out any of the runners with certainty. Richard Fahey’s Alben Star is currently favourite but it should be noted that he has raced predominantly over 6f and his sole win over the minimum trip was on his racecourse debut. His trainer also saddles El Viento who is back down to his last winning mark of 91 and gets further respite with a 5lb claimer on board. Richard Fahey has said he does not think El Viento is an outsider and there is not much between his two runners. With a nice high draw, a return to form would see him outrun his odds of 40/1. At the other end of the market, Monsieur Joe is an out and out 5f specialist and has won 9 times at the distance. He won’t mind any ground condition having won on good to firm, soft and polytrack. He’s up 5lb for his latest win but looks in good form and should run another big race. If Garswood runs anywhere close to his official rating he will win the Group 3 Timeform Jury Stakes at Haydock. His seasonal reappearance effort casts enough doubt for me to look elsewhere and I think Breton Rock has as good a chance as any. The C&D winner is 6 from 8 over 6f and 7f when racing on good to soft or worse. At 4 years old he is open to improvement and I will be hoping for plenty of cut in the ground having backed him @7/1. Before we get into this weeks football review I just wanted to let you know that the Coral Football Jackpot is sitting at £950,000 and may well hit the million pound mark this weekend. All you have to do to win this is correctly predict the result of 15 matches, the cost of entry is £1 – Click Here to Enter. Unusually for top club football in England this weekend we see a combination of both FA Cup and Premier League football. With only eight clubs left in the FA Cup we’re very firmly getting into the business end of the competition and if results fall a certain way then it could well turn out to be another year of the underdog. Last season we witnessed Wigan managed by the likeable Spaniard Roberto Martinez walk away victorious after a 1-0 win over Manchester City. Funnily enough both sides are lining up against each other once more – this time in the quarter finals. Wigan are now a Championship side but they will still fancy their chances in a one off encounter and can point to last years final as a motivation to progress in the Cup. Of course the smart money will all be on City but you just never know. Martinez and Wigan parted company after their historic win last season but his love for the Cup remains strong and his new side Everton are in the last eight. They face a tricky away tie at this seasons surprise side Arsenal. Arsene Wenger will be only too aware that it has been far too many years since his side picked up any silverware and this could turn out to be his best chance at achieving that this season. I expect him to field a strong team and instruct his gunners to go out onto the pitch with all guns blazing. If the Toffeemen can withstand the assault in the first half then they may hold out for a draw or even sneak a win in the latter parts of the game. But for me I think the determination and desire of not only the Arsenal players but also all their fans cheering them on will spur them onto a place in the semi finals. I expect the gunners to win by 2 clear goals. The remaining ties pit some of the lesser fancied sides left in the competition and they will be delighted to see that their chances of reaching a Wembley final have been improved enormously after watching the demise of top sides such as Chelsea, Manchester United and Liverpool in previous rounds. It’s League 1 plays Championship in the Sheffield United and Charlton match up. After an horrendous start to the season the Blades have finally woken up and have in the past eight matches put all to the sword with eight straight wins. This has not only propelled them up their table but also seen them march into the quarter finals of the Cup. It’s a fair bet that none of their current fans were around to witness their last victory in the FA Cup when they defeated Cardiff 1-0 in the Final of 1925. With so few clubs left in the hat there is now a very real chance of emulating that – they can but dream. Charlton have also struggled with their league campaign this season and will like United view this as a great chance to make their mark on World football. Wouldn’t it be great to see one of these two play in Europe next season? The last tie sees Premier League teams who may be more focussed on retaining their status in the top division than concentrating on the romance of the Cup, Hull and Sunderland. As Wigan showed last year it is possible to progress in the Cup whilst struggling at the foot of the Premier League but as history shows they ultimately succumbed to relegation. It could be that their Chairmen are secretly harbouring thoughts that it may not be a bad thing to exit the competition at this stage. After all sadly for history the money is all in retaining your place in the top league and not chasing glory. Sunderland are fresh from their valiant loss last weekend against Manchester City in the Capital 1 Cup Final at Wembley and now they have a taste for the high life they may be more inspired to repeat that excellent experience. However, with Steve Bruce at the helm of Hull a man who has enjoyed huge success with the FA Cup in his time with Manchester United working his magic on his Tigers they could take advantage of playing at home and claw their way into the last four. Personally I hope that the Tigers along with ex Stevenage winger the “White Pele” George Boyd make it through. Away from the FA Cup and back in the Premier League current leaders Chelsea will be hoping to take full advantage of being the only top four side to play this weekend for points. They play Tottenham in what could prove to be a tricky game. Tottenham’s form is very much hit and miss at the moment but they could spring a surprise and hold the blues to a draw, I just can’t see them taking all three points away from Stamford Bridge. With this seasons title chase being so very tight that could be two very important points dropped for Chelsea. Elsewhere, Manchester United simply must beat West Bromwich Albion if they are to stand any chance of finishing in the top four and getting into the Champions League. They are now 12 points adrift of that fourth spot and if they drop many more points at this stage of the season they will surely leave themselves with far too much to do as qualification draws to a close. To not qualify for the Champions League will be a total disaster for the Red Devils and could lead to a huge overhaul of the club in the summer. If the players realise this now then it may inspire them to play like we all know they can but at the moment they seem just a tad lack lustre in their approach. I can see the Baggies bagging all three points tomorrow. It’s a real relegation six pointer in deepest Wales as Cardiff play Fulham. Both clubs are playing poorly and prop up the league as they start to fall away from the other clubs around them. This is a must win game but who will come away with the points? The loser could well be sealing their own fate this weekend. I know there’s still a long way to go but if you fall six or seven points away from safety with only nine games to go then it would take a herculean effort to drag yourself away from the bottom three. The last two games feature sides that could easily be facing relegation woes come the end of the season and will be mightily relived if they pick up three points tomorrow. Crystal Palace take on a Southampton side who have done enough in the early part of the season to retain their status for another year. With this in mind I think that the Eagles will have more desire about them and emerge with a win. Norwich and Stoke are in a similar position in the nether regions of the table. Both will view this game as one they can and should win. Thirty seven points was enough to see a side safe last season and if Stoke win tomorrow then they will be on thirty three points. With nine matches left they may well view a win against a fellow struggler as job done for the season. Both managers will be keen to impress upon their players the importance of wins against sides that are viewed as their contemporaries. My double tip for this week features an obvious win for Manchester City (best odds of 1/6) and a more risky victory for a Sheffield United side playing a team one division higher in Charlton Athletic (at 13/10). City are a side that just don’t know how to lose at the moment and United’s eight wins on the bounce means their confidence will be sky high. After a bad December the Mystery Horse Bot has bounced back with a huge January. 72 points profit is not the biggest month this software has ever had but it's up there with the biggest. December showed the importance of having an adequate bank to cover the ups and downs of betting. The Mystery Horse Bot recommends a 100 point bank and that has not been in danger. I'm seeing a lot of emails at the moment about new wonder bots, which may or may not work as claimed. But the Mystery Horse Bot has been betting live everyday since June 1st and is 123.46 points up since then. The system itself has been tracked since July 2012 and has recorded 598.17 points over that period.